So it’s getting fairly hot here. The summer has been pretty mild so far, but the next 3 days are all going to be in the nineties. The pigs are not fans of the nineties. 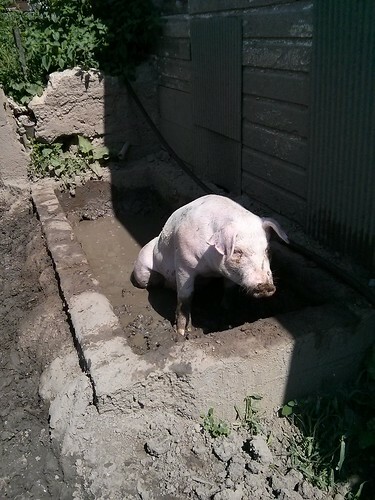 Trixie, like the other pigs, has taken up a new hobby: wallowing. 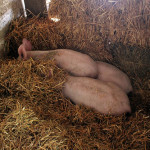 They wallow early in the day, then retire to the cool concrete floor of the barn. 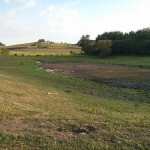 This old concrete water-trough seems to be their favorite spot to wallow. 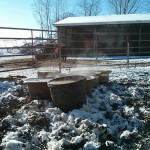 I’ve seen as many as 5 pigs crammed in that trough at once. 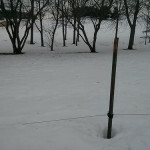 There is an old pipe that used to fill the tank from the now-defunct cistern. 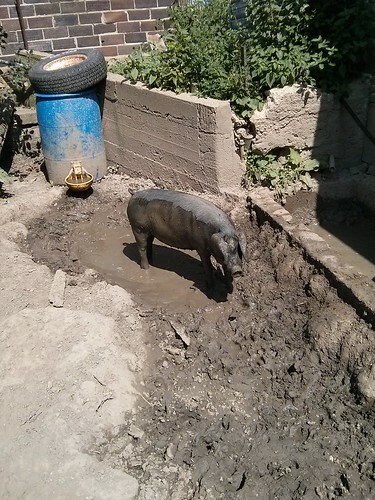 I’ve been keeping a few inches of water in the bottom of the trough. The pigs have gradually wallowed out quite a lot of the dirt that had filled the trough up to the top. For some reason I am thinking of this Nelly vid but with pigs. Maybe you need to give them a soundtrack to wallow to?